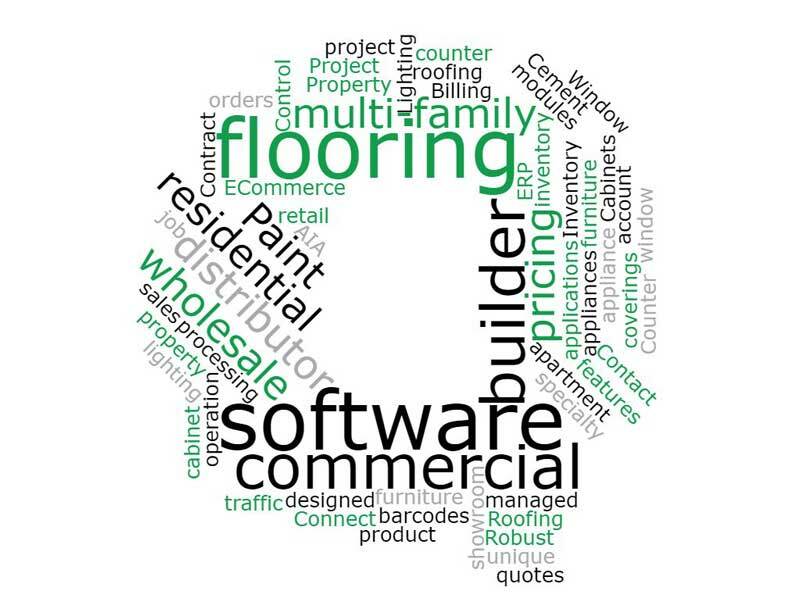 We Do More Than Residential Flooring Software! Everyone (even our competition) knows what a great job QFloors does for your residential business. But we have found that even our customers are sometimes unaware of all the features, capabilities and different types of business that our software can also handle. We would like to clarify areas of business (other than retail residential) where QFloors can be an invaluable partner for you. Below are a few business categories that we want to bring to your attention. QFloors is great for large commercial jobs. Already built into QFloors is the ability to do large bid jobs using project management, progressive billing, AIA reports and more. QFloors integrates with Measure Square (estimator) which allows you to do take offs, and once you have whole bid, you can import that into QFloors, and save it as a proposal. Once you have done that you can automatically create your materials handling list and all of your work orders quickly and easily. You will be able to bill according to the terms of your contract (%, work completed, time and material, etc.). QFloors also works well for your “builder” clients. For instance, if your builders are doing a lot of track homes, you can set up templates for the different floor plans that they offer. When a customer picks a plan you can quickly duplicate a new sales order for them. You will only need to make a few changes to the order and you will be done. In addition to that, you can store and upload into your orders each of your repeat builder customers information automatically with any pricing terms that you have pre-set for them. QFloors also does a great job for you if you are working with property managers for apartment complexes. With QOrders, you can set up convenient, user friendly templates for your property managers so that they can go online and place an order with a requested install date in under 5 minutes, and then monitor the status of that order to completion. QFloors also works well for Installation Houses and Wholesale Distributors. If you are doing any of these types of operations and need assistance, or would like to see how QFloors can streamline your workload, we encourage you to contact us for more information. Ted graduated from BYU with a BS in Industrial Education. His experience within the flooring industry ranges from installation to a flooring store owner. Also, Ted has six years in the financial services industry and six years as an owner of a software business specific to real estate appraisal. He understands the needs of business owners and how QFloors can help owners maximize profits.